This is going to be the longest project on my website. I am attempting to create a full episode guide with accompanying pictures AND summaries! It'll be a long process, but when it's done...IT WILL ROCK! This project will only feature the Japaneses version. These pictures will only be available on this part of the website. Keep checking for updates! 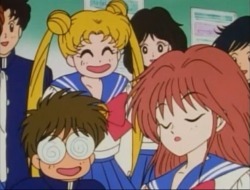 After the Negaforce meets it's demise, Serena is awoken as Sailor Moon after her help is needed. Two new students at Serena's school named Anne and Allen look for energy to steal from young girls to nourish the Doom Tree; their source of life. Episode 42: So You Want To Be In Pictures? 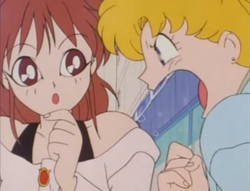 Serena has to handle being the only Sailor Scout, as well as coping with her loss of Darien. Anne and Allen continue to fight over Serena and Darien as they search for energy to give to the Doom Tree.